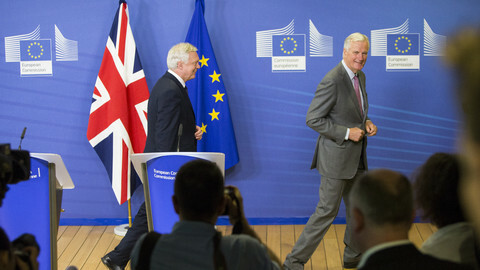 The EU remained unfazed Monday (9 July) by the resignations of senior UK government officials, including foreign secretary Boris Johnson and Brexit secretary David Davis, amid a swelling UK political crisis. European Council president Donald Tusk told reporters on Monday (9 July) in reaction to the resignations that politicians "come and go". "But the problems they have created for their people remain. The mess caused by Brexit is the biggest problem in the history of EU-UK relations. 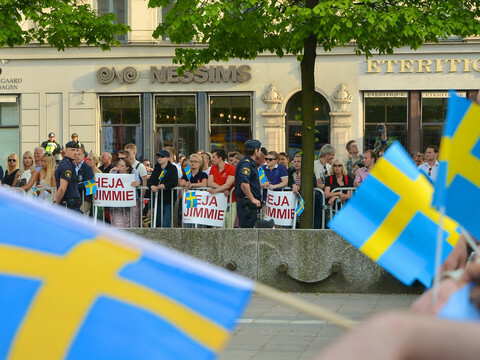 It is very far from being solved with or without Mr Davis," Tusk said. "Unfortunately, the idea of Brexit hasn't left together with David Davis," he said, adding Johnson later in a tweet. Earlier in the day the EU Commission had "no specific comment" on the overnight resignation of Davis, which it said was "not a problem for the EU". UK housing minister Dominic Raab was appointed as the UK's chief Brexit negotiator a few hours after Davis's announcement. While Davis said he wanted Theresa May to stay as prime minister, with Johnson's later resignation May's position has become more fragile than ever, only a few days after seeming to find consensus in her cabinet for her soft Brexit plan at Chequers, May's official country residence. The Chequers plan would give a say to the EU's top court, would have the UK abide by EU agriculture rules and make other pledges not to undercut the EU in standards, proposes a customs partnership with the bloc and intends to essentially keep the UK part of the single market with regards to goods. The plan is to be detailed in a white paper, which is expected to be published on Thursday. Only two days ago it seemed May had pushed through her Brexiteer government members a plan that could help reach an agreement with the EU on withdrawal. EU Commission president Jean-Claude Juncker joked ironically on Monday that the dual departures "clearly proves that at Chequers there was unity in the British cabinet". Juncker had a phone call with May on Sunday evening before Davis resigned, but officials gave no details on the conversation. EU officials on Monday sounded unimpressed by Davis's resignation, saying he had been once to Brussels over the past two months, even though he is the top negotiator for the UK. 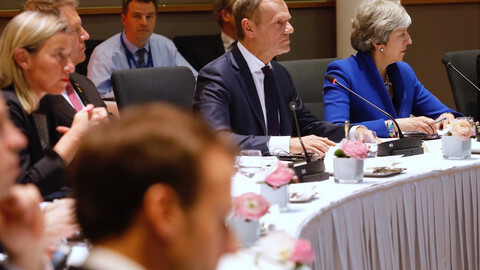 "It doesn't matter to us, who sits on the other side of the table," one EU source said, who is involved in the talks, adding that Davis's departure should not lead to a jolt in the process. "Davis's resignation will not make the negotiating process more difficult or easier," he added. The EU official, however, said that UK politicians take a "huge risk" if they enter a deep political crisis at home. Conservative MPs talking to The Times newspaper said the two ministers were "self-indulgent figures … but they are not the majority" in the party. May could survive a leadership challenge if Johnson or Davis decide to try to unseat her. The withdrawal agreement – the prerequisite for an EU-UK trade deal and a transition period – needs to be agreed by the end of the year the latest in order to have enough time for ratification in the EU and the UK before Britain leaves the EU next March. "We need a government that is capable of negotiating Brexit. 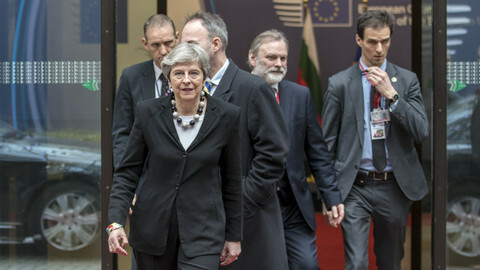 If they can't, make way for those who can," May told MPs on Monday, adding that she would consult EU leaders during the Nato summit later this week. The Chequers plan is seen as the UK moving its red lines to come closer to an agreement with the EU on the key outstanding withdrawal issues. 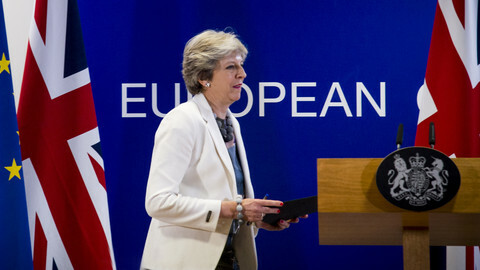 May on Monday attempted to frame the Chequers deal as both tough, and a challenge to the EU. "It requires [EU leaders] to think again and look beyond the positions they have taken so far and agree on a fair balance of rights and obligations," she told MPs. 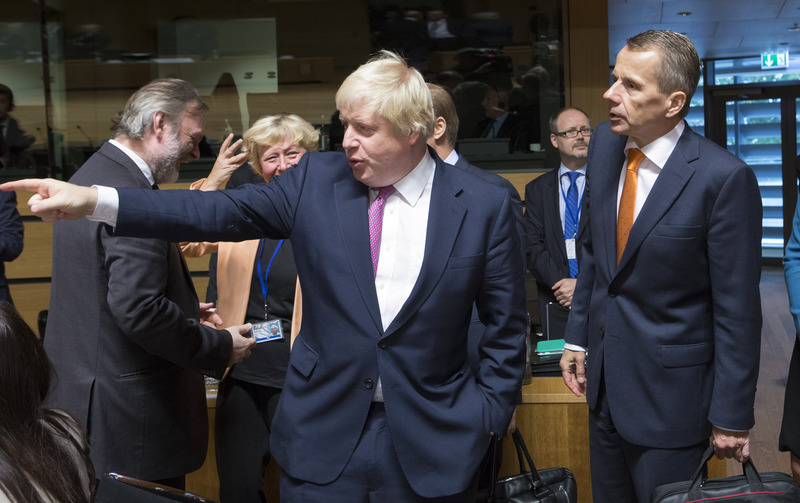 EU officials gave a lukewarm initial welcome to the statement, based on last Friday's UK government agreement, saying the plan appears to fudge some of the key sticking points. While welcoming the UK's possible agreement to give the EU's top court a final say in the interpretation of union law when applied in the UK, they were quick to point out that any participation in the single market with regards to goods can be ruled out. EU affairs ministers will have a chance to review the UK proposals – after the white paper is published – next Friday (20 July). "None of this changes the basic facts: she's [May] in trouble with Brexiteers because they think her Brexit is too soft, whereas, in reality, it probably still isn't soft enough for the EU-27," Tim Bale, professor of politics at Queen Mary University of London told EUobserver. "People still cling to the illusion that the UK can have its cake and eat it. That's the essential problem. If it weren't so serious it would be hilarious," he added. Brexit - why can't we just swipe left? Britain's Brexit negotiator, David Davis, has resigned in a mini-rebellion, adding to uncertainty on the EU talks as the clock ticks to March 2019. Britain's divided government will try to agree on a single Brexit wishlist at Friday's special meeting, but none of the options augur well for EU talks. 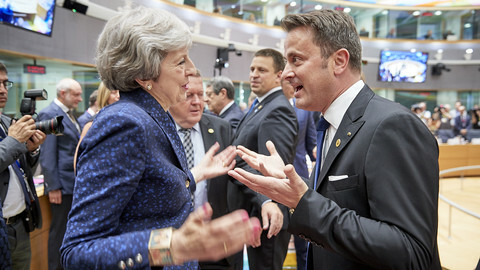 EU leaders wagged fingers at Theresa May for her inability to deliver on key issues, such as the Irish border, due to her own political weakness. After the latest round of Brexit talks, a senior EU official sounded the alarm bell: progress on the key Irish border issue remains elusive, while the London government is chasing pipe dreams. The entire Brexit debate since at least 2015 has been like a bad date. But this is the age of Tinder, why can't we just swipe left?